Ben E. Keith sales rep, Aaron Nelson, reviews Anheuser-Busch sales order with the retail store manager on the MobileDemand Rugged Tablet PC. After evaluating the alternatives, we found that the MobileDemand xTablet T7000 combined with A-B Mobility software was clearly a great tool to sell beer. 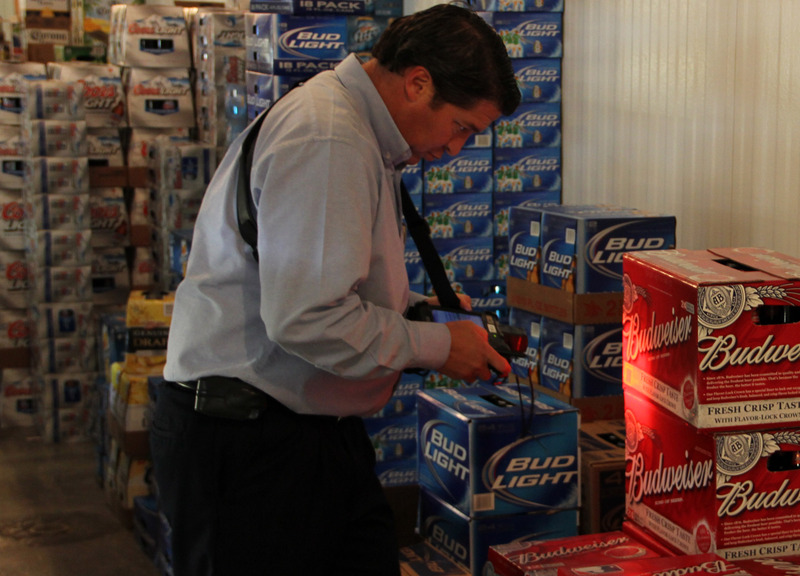 Ben E. Keith Beverages, one of America’s largest beer wholesalers, chooses to equip its field sales reps with MobileDemand xTablets to sell more beer. The xTablets are replacing their older, less-functional handheld devices. They selected the MobileDemand Tablet PC for its right-fit form and function. The full-screen 7” display allows for more efficient product look-ups without having to scroll through hundreds of SKUs on a tiny screen. The built-in bar code scanner and integrated numeric keypad make it quick and easy to take inventory and enter quantities. The rugged design ensures the devices stay up and running, keeping sales reps productive all day every day. Ultimately, Ben E. Keith’s goal was to provide the sales force with a fully-rugged mobile computer that would help improve efficiency throughout the work day as well as maximize the business benefits of their hardware investment. "After evaluating the alternatives, we found that the MobileDemand xTablet T7000 combined with A-B Mobility software was clearly a great tool to sell beer. We were able to successfully implement over 250 xTablet T7000 units at eight locations ahead of our original schedule," says Steve Fleming, Vice President of Administration at Ben E. Keith. Ben E. Keith’s 250 sales routes previously used small handheld devices to track inventory and place orders. Sales reps were forced to scroll through hundreds on SKUs on the tiny screen to locate each individual product. This time-consuming process not only frustrated Ben E. Keith employees but resulted in less productive work days overall. What they needed was a larger screen device to enable quicker lookups and provide the processing power to handle the ever-increasing number of SKUs. With the industry’s highest processor performance and running a full Microsoft® Windows 7 operating system, MobileDemand’s xTablet T7000 gave Ben E. Keith everything they were looking for and more. During the pilot, the 2.5 pound MobileDemand xTablet T7000 Tablet PC, with its full-screen 7” display, handled the hundreds of SKUs and increased productivity and efficiency with the addition of an integrated bar code scanner. Sales reps can scan the bar code on the product and the software instantly brings up that item. Plus, the integrated numeric keypad lets sales reps in the field take orders and inventory in a more efficient and timely manner. “We needed a larger screen device with more functionality that was durable enough to withstand the beer wholesaling environment,” says Fleming. “We tested several brands of tablet PCs including MobileDemand and the T7000 device was the only one that had the right combination of form, fit and function as well as the ruggedability we were looking for. It’s the right tool for our sales reps,” he continues. Ben E. Keith saw an immediate improvement in time saved after the MobileDemand tablets were installed. “Since implementation of the PCs to the sale force, the integrated bar code scanner has worked flawlessly. 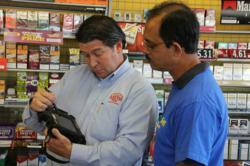 Sales reps across the board love it,” Fleming says. The xTablet T7000 has been an even more versatile rugged computer than Ben E. Keith had originally expected. Aside from inventory tracking and ordering, sales reps can utilize profit calculators and merchandising and shelf space tools. In addition they can access general business applications including the Internet and email, Excel files, videos and presentations directly on the MobileDemand xTablet. Essentially, the Tablet PC is like having a mobile desktop. Anything Ben. E. Keith sales reps can do with an office computer they can do in the field with an xTablet. In addition, downtime is no longer an issue with high capacity batteries which allow for the sales reps to use the rugged tablet pc for the entire work day without having to connect to a power source or replace the batteries. 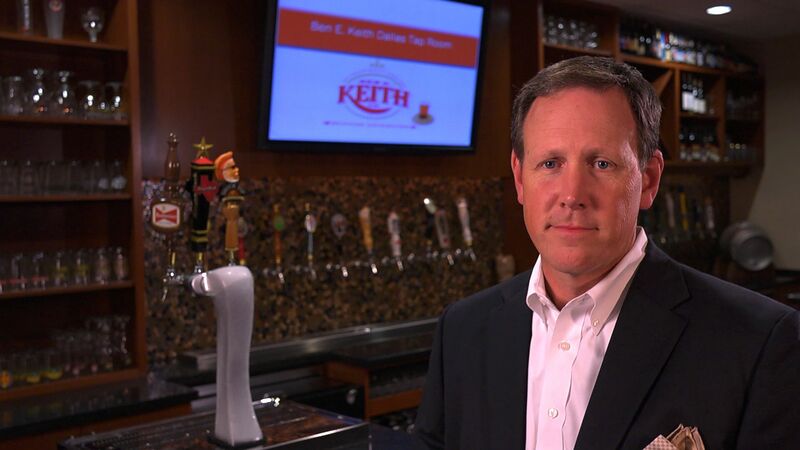 “We are proud to have Ben E. Keith, one of the world’s largest beer distributors, as a customer. We know they had a choice of computers. As the #1 provider of Rugged Tablet PCs to the beer industry, with over 4000 deployed in beer distribution, we were able to use our deep knowledge and expertise to provide Ben E. Keith with mobile computers that were the right combination of size, weight, ruggedness, features and functionality for their application,” says MobileDemand President Matt Miller. “They could have considered one of the lower cost Android or other consumer tablets. But Ben E. Keith, a true leader in its industry, clearly saw the pay-off of investing in a rugged tablet with all the functions, options and accessories required to make it a valuable tool for its sales force,” Miller continues. Visit the Ben E. Keith case study page on the MobileDemand website for the full story. You can view additional images on our MobileDemand Photo Page. MobileDemand is a leading provider of rugged tablet computers used in a variety of industries including Food and Beverage Distribution, Manufacturing, Retail, Hospitality, Transportation, Field Service, Agriculture, Utilities, Military and Public Sector. These productivity tools are used by mobile workers to improve operational efficiency and provide access to the critical information needed to make better business decisions at the point of customer interaction. MobileDemand xTablets provide ultra-mobility and versatility and are built military rugged to withstand harsh environments. They offer a high resolution, all-light viewable touch screen, the functionality of a full Microsoft Windows 7 OS and the power of an Intel processor to deliver performance at a lower cost and enable greater efficiency and productivity in the field. Additional information is available at http://www.RuggedTabletPC.com. Ben E. Keith Company, established in 1906, began selling Anheuser-Busch products in 1933. Today, Ben E. Keith Company - Beverage Distributors, guided by President Kevin Bartholomew, has become the fourth largest beer wholesaler in the country. Our diverse portfolio includes imports: Ayinger, Chimay, Duvel, Spaten, Trumer Pils, Sapporo, and Paulaner to name a few. Additionally, we distribute craft beers like Real Ale, Sierra Nevada, Dogfish, Saint Arnolds, Stone and many more. Most recently, Ben E. Keith introduced several wines from Chateau Diana; Ben E. Keith's second full line entry into the wine segment. Learn more about Ben.E. Keith at http://www.benekeith.com/beverage.